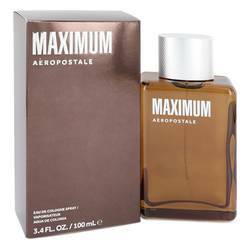 Aeropostale Maximum Cologne by Aeropostale. The best way this scent can be classified is as a refreshing, aquatic, earthy fragrance . This feminine scent possesses a blend of woods, spices, citrus and oakmoss. It is recommended for daytime wear. We best see this fragrance as a scent you’d wear on the way to a morning brunch or casually shopping. Overall a very calm blend of spices for a very calm day. Main Accords: Aquatic, Earthy, Fresh, Watery Style: Masculine, Daytime, Fresh, Smooth, Sporty Perfume rating: 4.00 out of 5 with 122 votes.